I was always taught pride comes before a fall. Mostly through Enid Blyton novels, and Sunday School. 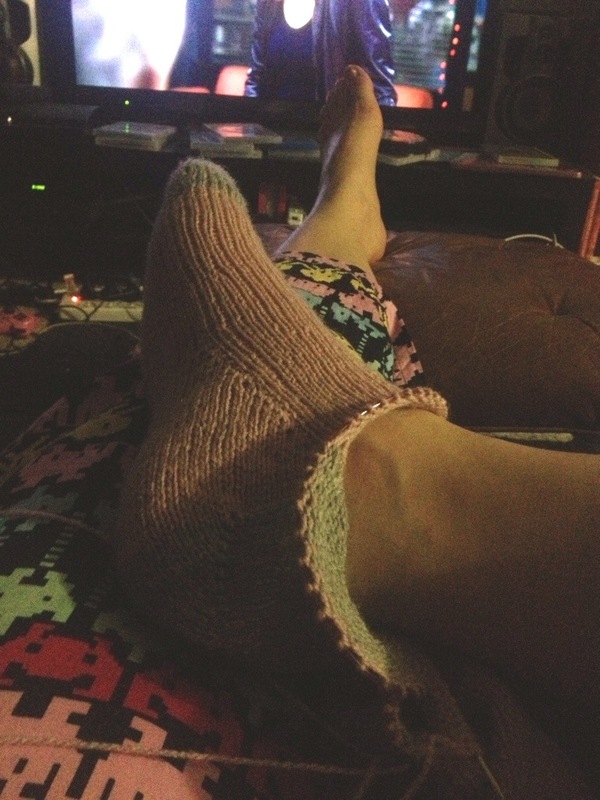 After feeling so chuffed with myself, for thinking I may have been able to make a pair of socks in a week, I failed. Not just made a tiny correctable mistake, I failed. I didn’t follow the pattern correctly and had too few stitches in the toe. To compensate I increased randomly in the foot of the sock. In hindsight this is where I should have started the gusset. So I started the gusset massively late. When I tried it on to start the heel I started early (again to compensate). 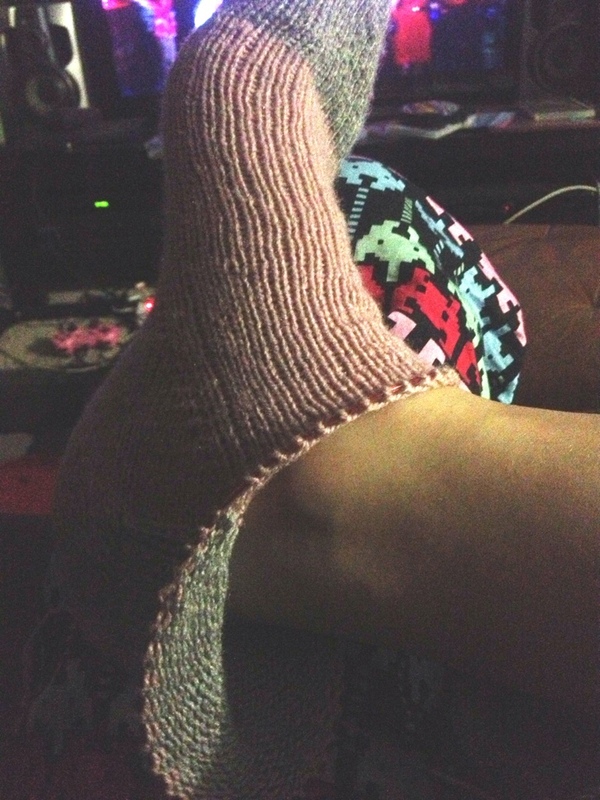 Stuffed up my maths with turning the heel which meant I had one really lopsided heel. And when I tried it on it was about an inch too big. So the project got flung across the room and a few expletives hurled at it. I frogged it back to the toe and started again from there. 6 rounds in I realised that it still looked wrong and I gave up. The next day I started again from scratch. Just when I thought I was getting the hang of this and getting cocky I realise the value of slowing down and reading instructions. When I was in primary school (and occasionally in high school) there was a test. It consisted of a page or 2 of instructions. The first instruction was to read through all the instructions and then follow the instructions. Usually the instructions were things like ‘stand on your chair’, ‘say or sing something out loud’, ‘turn around 3 times’, but the last instruction always read ‘now that you’ve read all the instructions, sit down quietly and don’t so anything’. It was meant to be an exercise in following instructions. It inevitably turned into people sitting smugly, watching other people making fools of themselves. By the 2nd time a well meaning teacher instituted this test, my first action was to skip to the end and read the last instruction. Obviously I was a smart arse and should have paid attention to the actual lesson. It may have resulted in a finished sock instead of a frogged* sock. *for those non-knitters who are utterly confused, ‘to frog’ is to unravel a piece of knitting, or rip-it (ribbit) back.